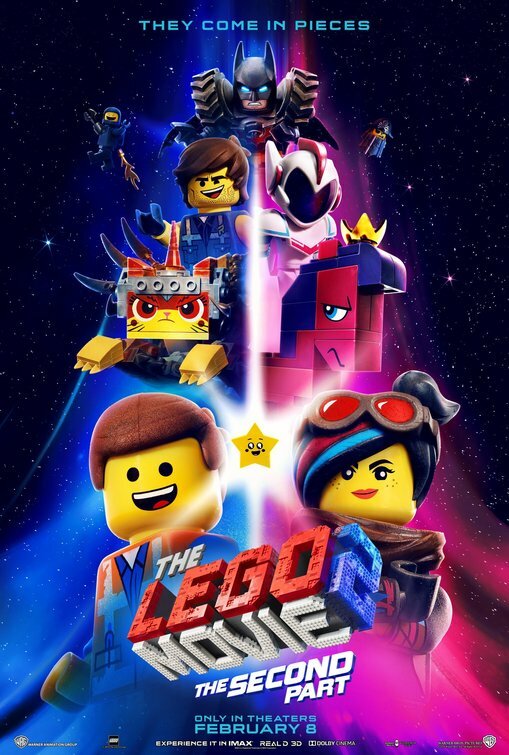 If you were a fan of the previous Lego Movie, then you’ll definitely appreciate the amount of work this film does to pick up where it left it off. The subtle flashbacks were a nice feature to the introduction to give new and returning audiences a nice recap of the past events. Given that, the film does an excellent job of setting up the present situation to help move the plot. Speaking of which, the overall story was pretty satisfying and intriguing. This sequel continued to push a few elements of the previous film including more crossovers between the Lego world and the real world. I’d say these crossovers showcased some strong writing for this movie because it blended different perspectives and allowed for subtle twists in the story to surprise you. Plus, the story had a very heartwarming lesson that audiences of all ages can surely enjoy and appreciate. It was fun to see how the film also captured the feel of other films such as Mad Max while still poking fun at other movies like Jurassic Park. A lot of the editing, quick takes, and transitions of the film really complimented the timing of the comedy. Just like in the prior Lego Movie, this one kicks up the funny references a lot. It goes without saying that the pop culture and movie references were among some of the funniest moments in the film. Not to mention the fact, that it’s even funnier when you realize that some of the jokes being told are at the expense of the very voice actors delivering the joke. As an added bonus, there are a number of celebrity cameos that are even funnier when you recognize their voices. The biggest knock to this movie is that it appears to have changed its focus to an older audiences more so than children. Sure, the animation is bright and colorful as we would expect for these types of animated movies. However, many of the jokes and humor in the film appeared to be more suited for teen to adult audiences. A lot of the movie references were things that fly right over the heads of most children. Unless your child knows the inner workings and drama between the movie studios, for example, don’t expect them to catch any jokes about Marvel Studios. Typically for most kiddie movies, there’s a certain nuance in being able to teeter the line between making a silly/goofy joke that entertain kids and still have adults catch the higher meaning. 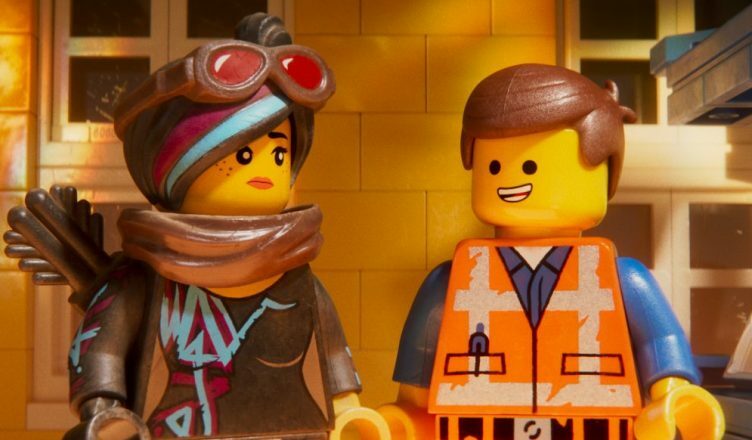 That duality didn’t appear to happen in The Lego Movie 2. During my own screening, I started to pay attention to the audience during some of the funnier scenes. I definitely noticed adults laughing and giggling way more than the kids in attendance. That’s not to say that kids can’t or won’t enjoy this movie. It’s just that I don’t foresee this being as rewatchable for children compared to the last film. Finally, a minor issue with this film came from Tiffany Haddish’s voice acting. While I personally enjoy her in other roles, I don’t think this particular character or role was a good fit for her. Not to mention the fact that her singing wasn’t the most pleasing to the ear. The Lego Movie 2 will leave no doubt that Toy Story could’ve been done with Legos. It’s funny, charming, entertaining, and overall a good watch. As I mentioned before, I do believe that compared to other animated films, this movie probably won’t be as entertaining from beginning to end for younger audiences. In comparison, I would say that this sequel did not surpass the first Lego Movie. Nevertheless, The Lego Movie 2 is still very watchable in theaters for the entire family. THE LEGO® MOVIE 2: THE SECOND PART is in theaters now. Be sure to follow E-Man’s Movie Reviews on Facebook, Subscribe on YouTube, or follow me on Twitter/IG @EmansReviews for even more movie news and reviews!